No matter where you are in the world, one thing that everyone loves is when the spring season comes around. Spring is a great time of the year; the world seems to be renewed. Here are the top 10 most special things about spring that many people agree on. Love – Spring is the time for love to flourish – it’s just the way nature works. Studies have shown that more people fall in love in spring than in any other season. Love makes the world go round, so if you’re looking for a lifetime partner, get searching this season! Open Windows – Spring is a time when you can open all your windows and let the fresh air and mild breezes flow in. 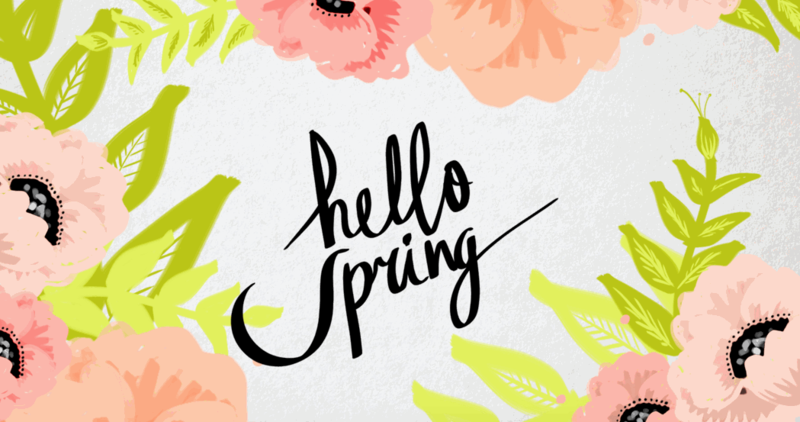 Spring allows you to freshen your home and makes you feel energetic, positive and rearing to get going with life! Return Of Birds – The birds return when spring starts and you get to hear their beautiful chirping and songs from outside of your window. Bird watchers love this season when birds return from other climates which are entering their cooler seasons. Clothing – Spring allows the transition from heavy clothing to lightweight clothing. It allows you to mix and match outfits, and try new colorful outfits that flatter your body you have been keeping healthy and exercised throughout the winter months. Sunshine – Spring is when the sun shows its face again for longer periods of time and heralds warm days ahead. It’s a season that isn’t too hot or cold and the temperatures are ideal for playing sports or engaging in outdoor activities and pastimes. The sky is blue and the light clear days reflects your inner happiness. Happy Colors – Spring also brings out the beautiful colors of the earth. From the blue sky and luscious greenness of the grass to the myriad of blossoming flowers, spring is a rainbow of colorful delight. Spring Cleaning – No one likes to clean, but for some reason when spring rolls around we have an urge to spring clean, renew and throw out those unwanted items. Spring gives us motivation and a desire to move on with life. Holidays – Spring is a great time to go holidaying. The weather is right, the mood is right, and with all those week-ends, there is little to stop you. Many Americans take holidays to tropical islands and destinations to soak up the sun before it gets too hot. Baby Animals – A time of rebirth, baby animals are in abundance during the spring season. Baby ducklings, baby rabbits, baby birds- just cute baby creatures everywhere! Express Yourself – Spring somehow makes you want to express the joyful and optimistic side of yourself, to show off your best side. So dress up, step out, and smile for all the world to see.